Not much to say, you'll have to try it for yourself! Cook meat, add tomatoes, cheeses, parsley, and sriracha. 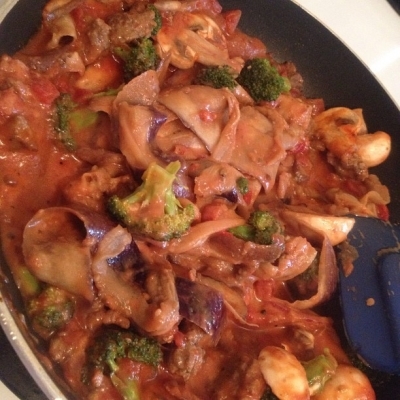 Add the onions, mushrooms, and broccoli - cook until tender. Lastly add in eggplant "noodles" and cook on simmer until soft.